At Randle Thomas, our aim is to offer high quality Conveyancing to clients who prefer a personal service. We offer our clients the attention their transactions deserve, accommodating individual requirements wherever possible. Cases are handled by a highly qualified and experienced team who can advise on all aspects of a residential transaction including finance, planning laws, tax implications and the involvement of trusts. Carrying out the various searches and interpreting the results is a major part of the conveyancing process. These searches provide a large quantity of vital information such as whether the property is affected by any current road-widening proposals, planning applications or whether the seller is bankrupt. Our local geographical knowledge is immeasureable at this stage of the conveyancing process. What are searches and do I need them? Unless you are buying with the help of a mortgage, searches are not compulsory but we will recommend them as it is part of our job to advise you on the searches that are appropriate for your property. It is important to find out as much as possible about the property or land you wish to acquire before entering into a binding contract to buy it. By carrying out searches before exchange of contracts, if you were to discover something about the property you do not like, you are free to withdraw from the transaction without any further consequence or expense to you, other than payment of your costs to date. Below is a brief explanation of the usual searches carried out in a conveyancing transaction. This search will reveal various matters concerning the local council. Examples include whether or not the road abutting the land is an adopted highway, if any planning permissions have been granted or applied for, if there are any restrictions or permitted development rights (this is particularly relevant if you have any future development plans) and if the land itself is within a conservation area. Other examples of issues revealed by this search are whether any new roads or railways are proposed within 200m of the land or whether any notices have been served in relation to remediation of contaminated land or whether the land is crossed by a public path or bridleway etc. These enquiries will reveal (amongst other things) whether there is a water main, public sewer, disposal main or lateral drain within the boundaries of the land; and whether the land is connected to the public water supply. It is worth mentioning that if there is a public sewer on the land, the water company’s consent will be needed to any development over or within the vicinity of the sewer. One of the more important aspects that can be revealed by this search is the possibility of the land being contaminated by previous owners eg a Mining Company. Responsibility for cleaning up contaminated land will lie with the person/company who caused the contamination in the first instance. However, there is the potential risk that this expense may fall to you in the event that, for example the Mining Company no longer exists. Other environmental matters that may be revealed are whether the land is near a landfill site or whether there are any factories in the area discharging any hazardous substances. This search is required if the property or land is located in a mining area which is more than likely in Cornwall because of the former Tin Mining Industry here. The search will reveal whether the property is in an area where mining has taken place in the past or is likely to take place in the future, the existence of underground workings which may cause problems with subsidence, and whether compensation for subsidence damage has been paid in the past or any claim is pending. Not so much a search but, rather, insurance. It is advised to obtain this as certain land and property in certain parishes could be under an obligation to pay the cost of repairing the chancel of the parish church and even though unlikely, these repair liabilities can be considerable. Property fraud is becoming an increasingly serious threat to property owners but, particularly, to non-occupying owners. The Land Registry has recently set up a Property Alert Service to help the fight against fraud and we are advising our clients to sign up to the service. Property Alert is an award winning free property monitoring service aimed at anyone who feels a registered property could be at risk from fraud. Before you commit to purchasing a property we recommend you to contact buliding insurers to make sure that insurance can be obtained for the property on acceptable terms. Surface water flooding occurs when heavy rainfall overwhelms the drainage capacity of an area. Sewer flooding occurs when sewers are overwhelmed by heavy rainfall or when they become blocked. Groundwater flooding occurs when underground water levels rise above surface level. This is most likely to occur in situations where the land is low lying over permeable rocks. River flooding occurs when a watercourse cannot cope with the water draining into it. Coastal flooding can occur as a result of a combination of high tides, low-lying land and stormy conditions. In addition, separate PDF maps are available that show what is at risk of flooding (e.g. people, infrastructure, property) at a river basin district scale. 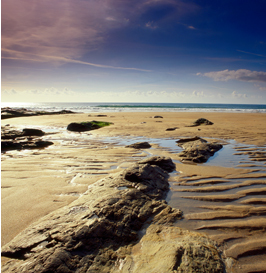 The Environment Agency service is designed to be used by the general public. Land Registry has combined its data with flood data from the Environment Agency and Natural Resources Wales to produce its Flood Risk Indicator, which provides information about the possible risk of flooding to a property. 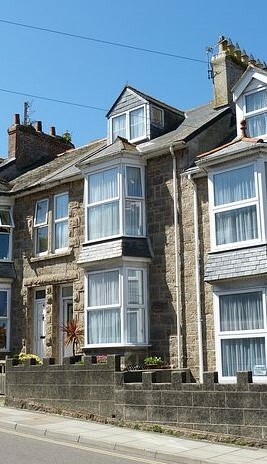 This can be purchased online via the Land Registry’s Find a Property Service. Thinking of moving in together? 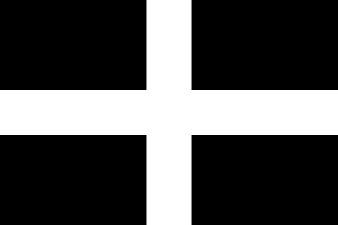 The flag of St Piran.